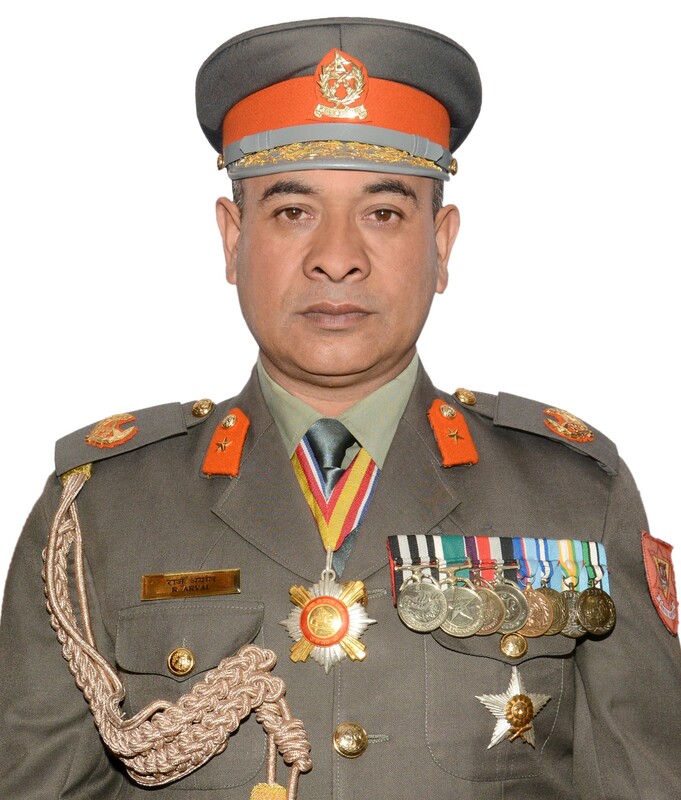 Mr. Shailendra Khanal assumed the position of Inspector General of Armed Police Force on 12th April 2018. He comes from the first batch of Armed Police Force that was formed in 2001. Mr. Khanal joined APF on the position of Deputy Superintendent as he had been serving in Nepal Police since 1992. Due to his involvement from the initial days, he got an opportunity to contribute from the formational stage. Now he has reached to the position of leading the force from the front as the 10th Chief of the Armed Police force comprising 37,119 soldiers. 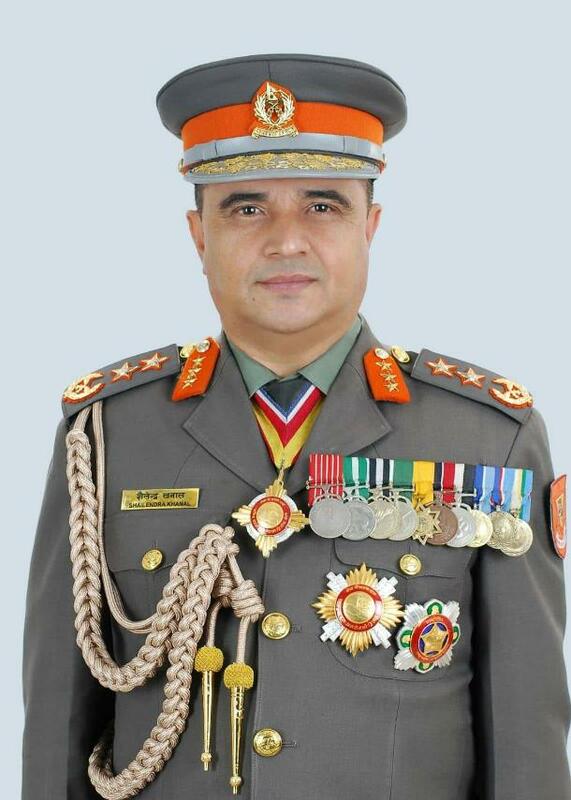 Born on 14th October 1966 in Kathmandu, IGP Khanal has done Bachelor's in Science and Master's in Political Science. In addition to academic qualifications, he has acquired several national and international trainings and courses such as Comprehensive Security Response to Terrorism (CSRT), Transnational Security Cooperation in APCSS Hawaii USA, Senior Mission leadership New Delhi, Logistics and Transport Management Hamburg Germany, Law Enforcement for Nepal 2011 China. Throughout his educational and professional trainings, he has always stood as one of the best students. His diligence and contribution in the development of APF were duly recognized with timely promotion and appropriate positioning. Mr. Khanal has demonstrated his leadership ability within the country and also in the international arena. In 2015, when the country was struck with severe earth quake, whence 9000 people lost their lives and tens of thousands were injured, Mr. Khanal (as DIG at the time) led the rescue and recovery operations, whence dozens of buried people were rescued alive by the APF. He was instrumental in designing and implementing the policy to provide security to the industries, which has contributed significantly in enhancing confidence of industrialists and improving the industrial environment. Similarly, he demonstrated impressive policing while he was the Commander of Center Region. Among other things, APF played significant role in inhibiting unlawful transactions of goods across the border, which contributed in meeting the revenue targets. During the same period, he came up with a setup to contribute in controlling crimes in highway and providing rescue services in the highway accidents. Being committed to professionalism in the growth of rank and file in the Force, IGP Khanal has paid substantial interests in career planning within APF. While he was associated with the then IGPs as Staff Office, he played crucial role in developing reports for career planning and formulation of various policies for the consolidation of APF in the society. Mr. Khanal also introduced Intranet System within APF and also initiated online meetings with the outposts. IGP Khanal has been instrumental in highlighting the roles and responsibilities of APF to the larger population when he was the Spokesperson of the Force. Apart from winning public sentiments for the achievements APF secured in national and social platforms, he also facilitated the press to augment the constitutional provision of the right to know. During his tenure as the Spokesperson, he appointed Information Officers in all brigades, battalions, border security offices, companies and border out posts. As a result, the transparency was maintained in the paramilitary setup of the Force. Mr. Khanal also demonstrated highly professional and academic skills in foreign postings. He was associated with the United Nations as Chief FPU coordinator and Acting Chief of Operation in the African Union United Nations Hybrid Operation in Darfur (2009-2010). He was also Commanding Officer of Formed Police Unit in UN Mission in Liberia in 2008 and Chief Administrative Officer and Team Leader of District Court Unit Pristina in UN Mission in Kosovo (2000/01 and 2004/05). His professional contributions in the foreign missions have earned four UN Medals to him. In addition, he has been very influential in the trainings of the officers who take part in the UN Missions. During the career span of 25 years Mr. Khanal has travelled several countries like China, USA, Germany, Italy, Denmark, India, Jordan and many more over the world. He is married to Mrs. Sarita Kanel Khanal and they have two sons Shaniddhya and Samyog.